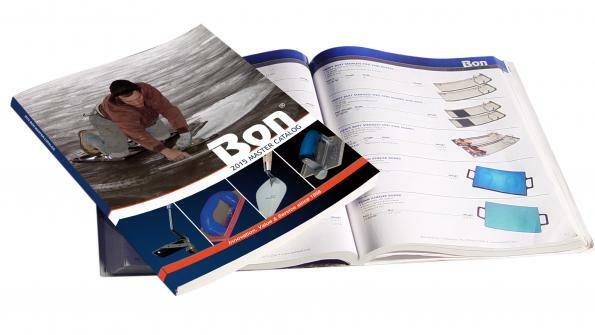 Bon’s 2015 Master Catalog has been expanded to nearly 6,000 products. Bon’s 2015 Master Catalog has been expanded to nearly 6,000 products and includes over 200 new items. It covers the company’s line of contractor-grade hand tools and materials for the building trades. The 448-page catalog is the company’s largest. The firm is a manufacturer and distributor of construction tools for professionals. The selection in the catalog includes tools for masonry, concrete and decorative concrete finishing, concrete restoration, drywall, interior construction, floor covering, asphalt, roofing general construction and more. New products of interest span the trades including a Keyway Groover, Pony Screed, Leveling Pins and a Dual Roll Terrazo Roller for concrete; Applicator Strip Brush, Curb Roller and Patch Roller for asphalt; new Rubber Stucco Rollers for plaster work; and new Poly Mortar Tubs and a Heavy-Duty Silicone Grout Bag for the masonry trade. See a digital version of the catalog on Bon’s website at www.bontool.com or call the sales department at 724-443-7080 to request a free copy. Gibsonia, Pa.-based Bon Tool Co. has been manufacturing construction tools and equipment for professionals since 1958. In the BonWay video, see how to texture concrete with urethane mats.